Decluttering your home is a perfect way to start the year feeling fresh and in control. Let's start by tackling some of the trouble spots in your home. 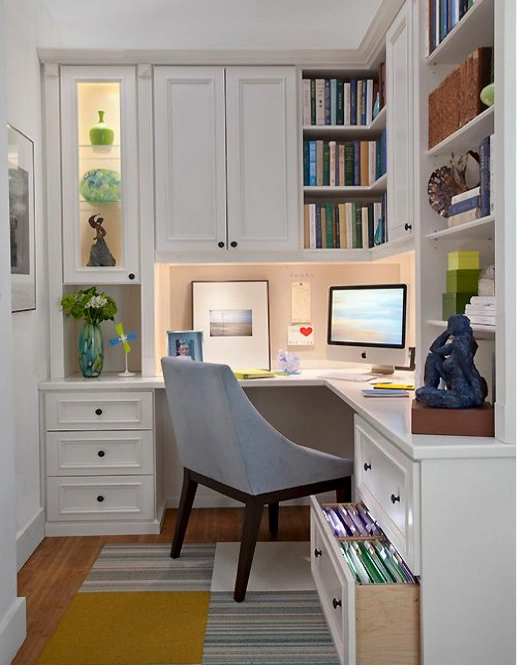 Let’s start with the Home Office. Get some bins or boxes, garbage bags and a shredder if you have one. *Empty out all your desk drawers. I like using a fold up card table or clean surface nearby. Discard the junk like old receipts, mangled paper clips, scribbled notes. Test your pens and sharpies to make sure they still work. Toss out whatever items you’re not using or are broken. *Sort like items together to see what you have. Only keep what you use daily in the drawers. 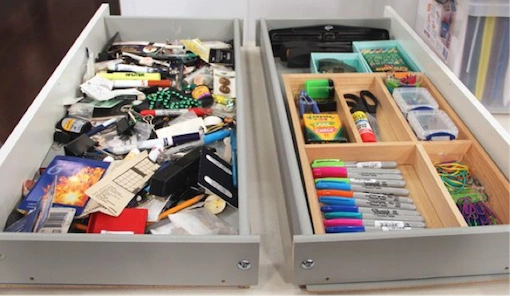 Use various size drawer dividers to keep things organized. You can pick up containers at Ikea , Bed Bath and Beyond or the Container Store. Measure your drawers before you go shopping to find the right sizes. Now lets purge the paperwork. *Clear everything off your desk except your computer. *Use bins or boxes to help do the sorting. Label the boxes “To file”, “To shred”, “To toss”, “Belongs elsewhere”. Sort through the papers one by one and shred the ones you don’t need. File or scan the items you need to hold onto and throw the rest out. *Use the shredder to get rid of documents that contain personal information. If you have printed material that’s available online, throw away the paper and store it digitally. *Create file folders for the “To Do”, “Pending” to keep on your desk. *File away paperwork in handsome hanging folders with clearly labeled tabs. I organize mine alphabetically. I add new files as needed and purge as often as I can. 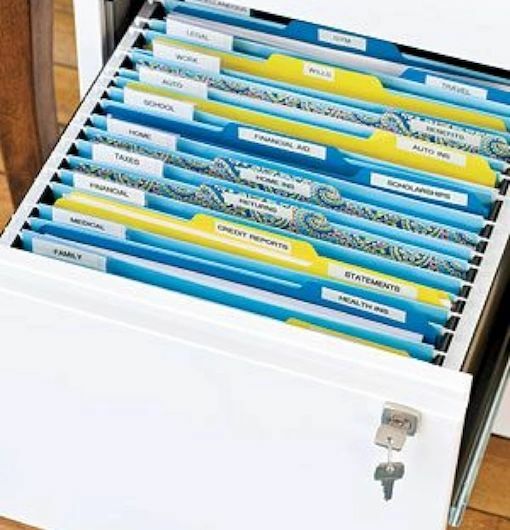 Use a label maker to print tabs for the folders. Use the baskets/bins from your sorting process to store printer paper, stationary, magazines and other items on shelves. Set aside 15 minutes at the end of each day to clean up your desk. 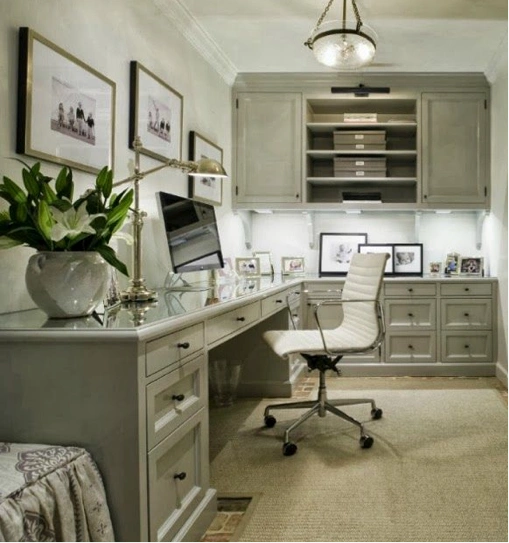 It’s wonderful to walk into your office the next morning to a clutter-free space.